There’s nothing worse than living in a home where the temperature is up, down, and all over the place! Stop tolerating inconsistent temperatures in your home and allow All Elements Heating & Air LLC—the top HVAC installation service company in Marshall, Texas—to finally make your home feel like…well, home. Not Regularly Changing the Furnace Filter – If the filter in your furnace is left unchanged for an extended period of time, it can get clogged with dirt, which prevents air from blowing over your furnace’s heat exchanger. 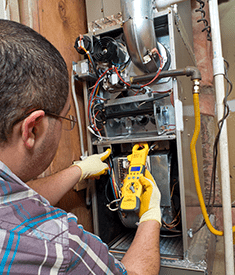 Wear and Tear – If crucial parts such as the furnace belt experience constant wear and tear, your furnace is in danger of overheating, which could cause your furnace to shut down entirely. 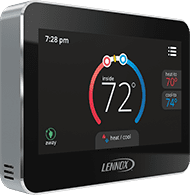 Thermostat Failure or Malfunction – The thermostat on your furnace determines the amount of heat that should be emitted from your furnace. If the thermostat isn’t working, your home can suffer from a lack of heat. Call All Elements Heating & Air LLC today at (903) 407-9374 to schedule a consultation.